Hey y'all! It's Lissa again! 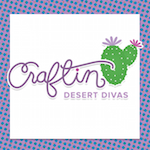 I got back from vacation just in time to post on the Craftin' Desert Divas blog again! I'm sharing a card I made using a couple of the new sets from the July release! I just can't get enough of these cuties! Plus, since I just got back from vacation, I really need to send a thank you note to my parents who hosted us for almost 2 weeks! So, that's what this is for! The hippo is my Mom watching my two kiddos swim, like she always does every summer. To make my card, I used stamps from Summer Vibin' and Sunny Smiles. These sets go so well together that I seriously get them mixed up all the time! Now that's what I'd call a perfect match! I decided to make my own frame using the large scallop from Fancy Frames dies. I then measured in 1/8" from the stitching to make the interior of my frame. I used some Distress Oxide inks to make my background. To make the waves, I inked up some vellum and then cut it using the waves (or clouds) die from the Outdoor Landscape 2 die set. As you can see, I added a double layer of foam adhesive to give it some pop in different areas! Part of the umbrella is popped up so it hangs over the frame. 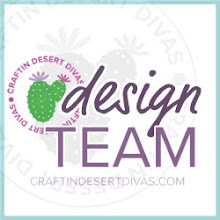 To see more information about my card, please be sure to visit my blog post. Sooo super fun and cute!